This is close to my personal philosophy of life: Be true to your core self, and therefore guided by love and intuitive inner knowing. Talk to yourself in two languages - what do I need and what do I love - in order to balance the body and the soul. As Rumi said: "Life is a balance of holding on and letting go." And Osho: "Life is a balance between rest and movement." Life makes you walk that delicate balance between making it happen and letting it happen. Balance is not something you find, it's something you create. 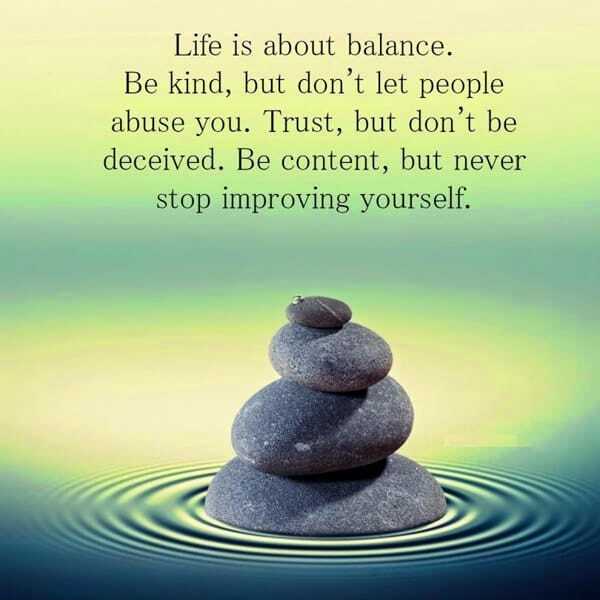 As Stephen Covey says, "Most people struggle with life balance simply because they haven't paid the price to decide what is really important to them." 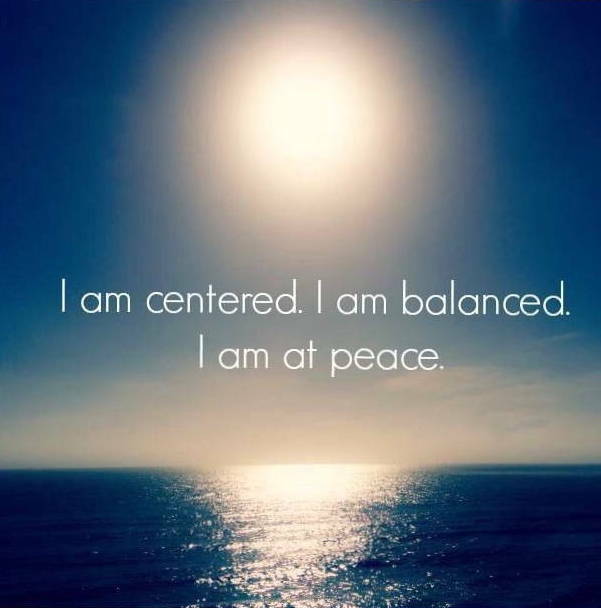 There is a calmness to life when you have balance. This allows you to focus on what you want out of life... which leads to becoming whole and more fulfilled.